Deciding what to wear to an interview can seem difficult. But the rule of thumb is really quite simple—and can be liberating. What do I wear to the interview? It's a question millions of people agonize over on some level while looking for a job. The bad news is that there are few cut-and-dried answers. As the saying goes, there's no accounting for taste, and each interviewer has his unique sense of what's appropriate interview attire. The good news? Deciding what to wear isn't as difficult as you might think. "The rule of thumb is that you dress one or two levels higher than the job that you're going for," explains Kate Wendleton, president and founder of the Five O'Clock Club, a national career counseling and outplacement firm. "If you were going for a job as a mechanic, you wouldn't go in there in dirty overalls, even though that's how you would dress for that kind of work. You would still go in there and show respect. You would go in with an open-collar shirt, clean pants and maybe a jacket." As Wendleton puts it, by dressing a notch or two above what's standard apparel for the position you're interviewing for, "you're definitely showing that you care about this job, and that you know the game." When it's time to get dressed for the interview, remember: It's not so much that you're trying to get the job with what you wear; rather, it's more a matter of not taking yourself out of contention with your presentation, Wendleton says. "Interviewers can decide in 10 seconds that they don't want you," she adds. "It will take them longer to decide they do want you." Chances are good that by dressing on the conservative side, you won't unintentionally disqualify yourself. But trying to demonstrate how hip you are with your exposed lower back tattoos or laid-back Juicy Couture outfit could backfire. Once upon a time during the dotcom heyday, "people would come in with nose rings and sandals, and because there really was a severe labor shortage, they'd get hired," Wendleton recounts. She says that young, freshly minted grads often make the mistake these days of going too casual, perhaps confusing what once was with what now is. "These days, people are not desperate for you," she says. 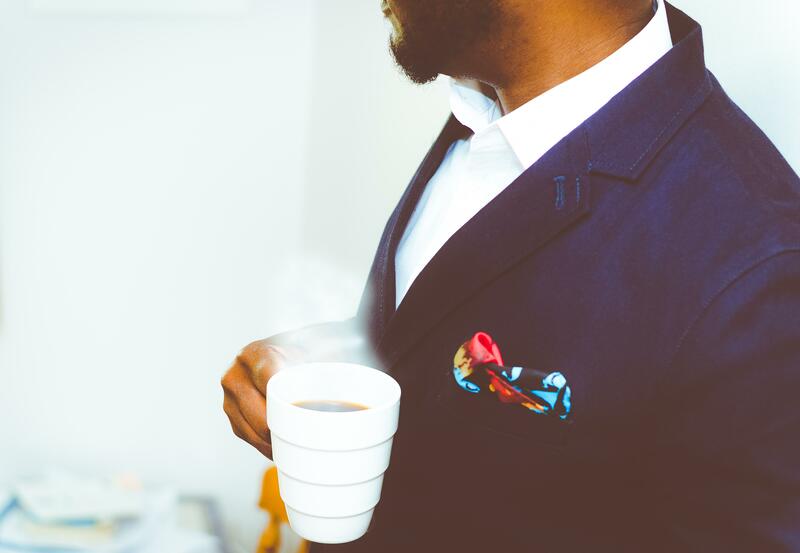 "Recent grads tend to dress like they're students at interviews. Nobody forgives that. Not in this market." Is a suit always a must in an interview? Absolutely not. Michael Smith, who recently searched for a job in the Chicago area, went on an interview in the midst of a bitter cold snap in that region. "So instead of wearing a suit, I wore black slacks and a sweater," Smith says. "The sweater was large and cable-knit but very nice and high quality. The interviewer actually said to me that it was nice to see something other than a suit walk through his door. And a week later, I got the job." So be sure to learn about an industry's fashion culture; some are obviously more casual than others. It's also usually fine to inquire about the dress code while setting up the interview. An Armani coat and tie or your nice Ann Taylor outfit may not be required if you discover the dress code is casual. "But it's never fine to go in with a collarless shirt," Wendleton warns. And for men, she suggests putting on a jacket, even when not wearing a tie. There are those who say it's pointless to dress for an interview in a way that you wouldn't once you're on the job. Why misrepresent yourself to a future employer or try to be someone you're not? "If you want to have eight earrings and have your tongue pierced, that's fine," Wendleton says. "But you're showing you don't know how to play the game. If it's so important to you, go ahead and dress like you normally do, but realize that you may not get the job."